Join us for our 5th Annual Florence Flapjack Fundraiser! Saturday, March 16th, we’ll be grilling local sausage, making hot cakes, and serving up some local grits! There’s no better way to support the school than enjoying a breakfast plate with filled with local food products such as maple syrup from Ashe County’s own Waterfall Farm. 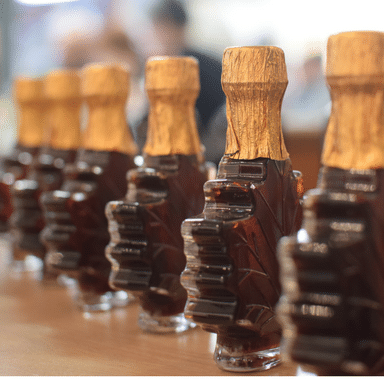 Waterfall Farm is one of the few commercial maple syrup productions in the state of North Carolina and is owned and operated by the Munroe family. Read more about Waterfall Farm on their website. The Florence Flapjack Fundraiser is a unique way to appreciate the flavors and art of the Mountains of NC! 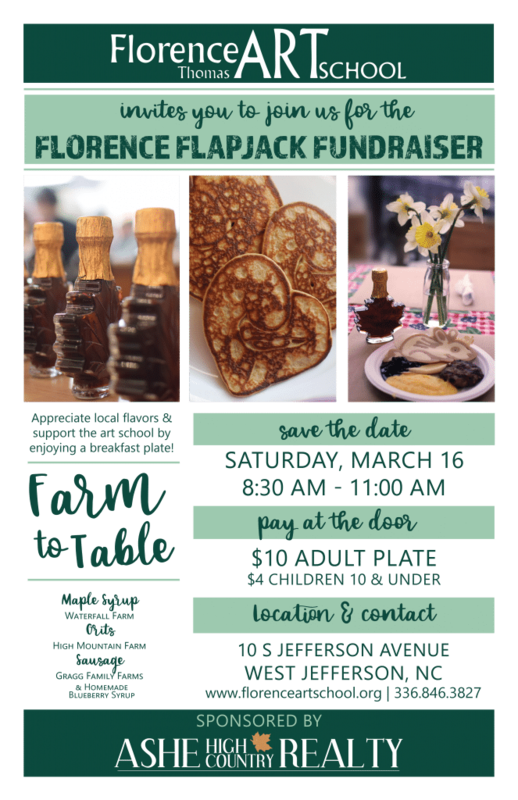 The Flapjack Fundraiser is held at the Florence Thomas Art School, located at 10 S Jefferson Ave, West Jefferson, NC from 8:30 am – 11:00 am. Advance tickets not necessary, pay at the door.